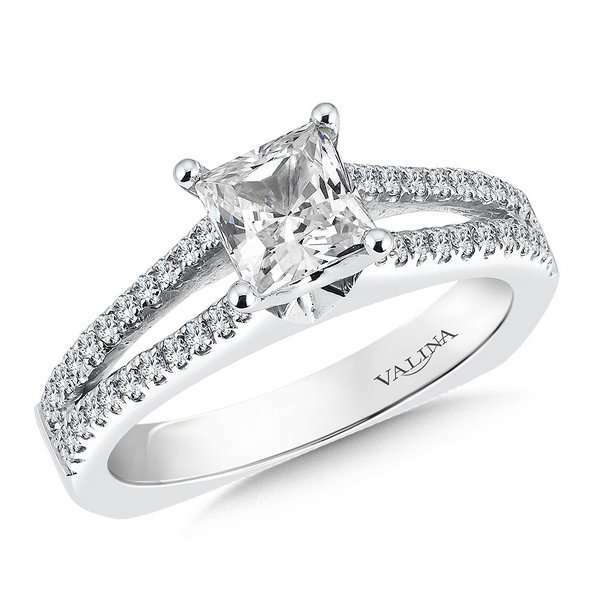 Two rows of diamonds rise and flare to meet the Princess-cut center. 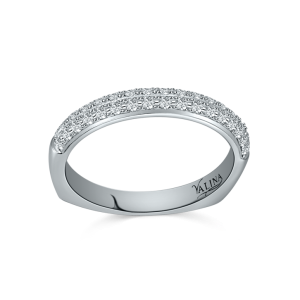 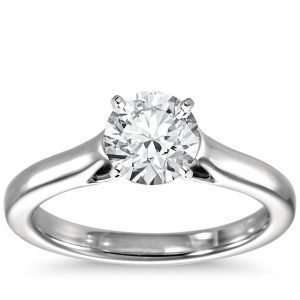 This split shank ring is available for any size center stone. 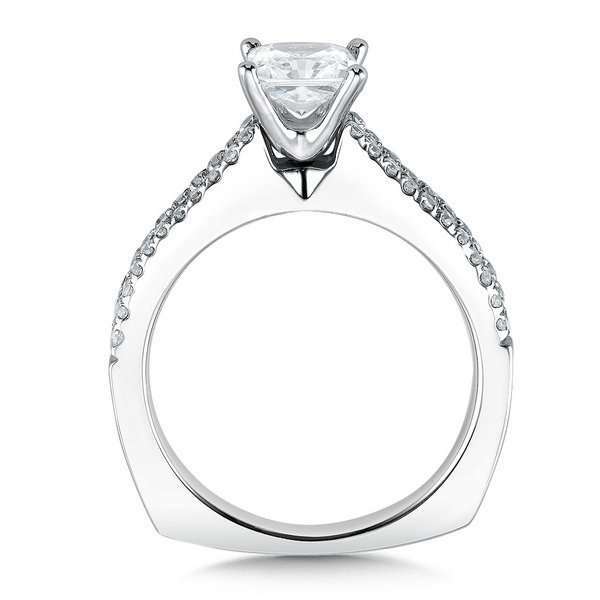 The profile is brightly polished for a sleek contemporary look. 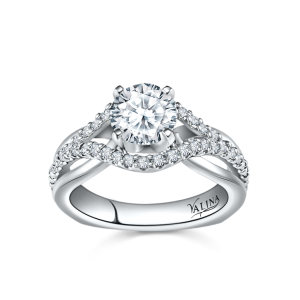 Center stone (1 ct. tw. 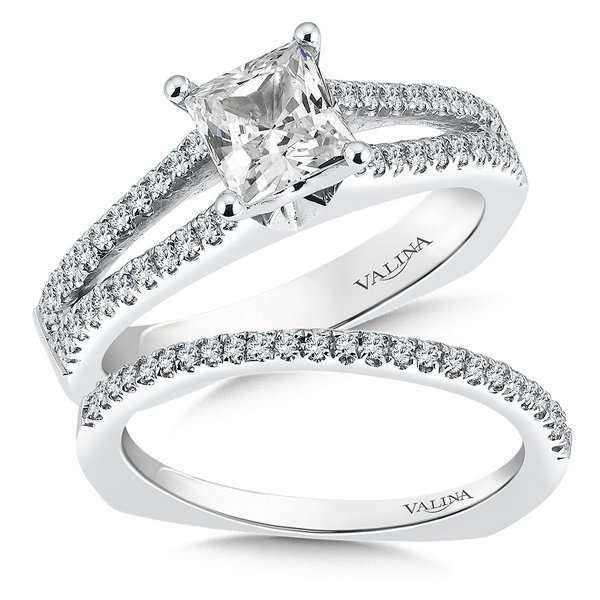 Princess cut ) sold separately.